There are two strands of thought when seeking answers to the origins of the universe, one is spiritual and the other is scientific. Spiritual thought comes through intuition and reflection. Scientific thought comes from reason and logic. This is universal power meeting universal intelligence on the physical plane. The latter comes from looking outside, and the former comes from looking within. 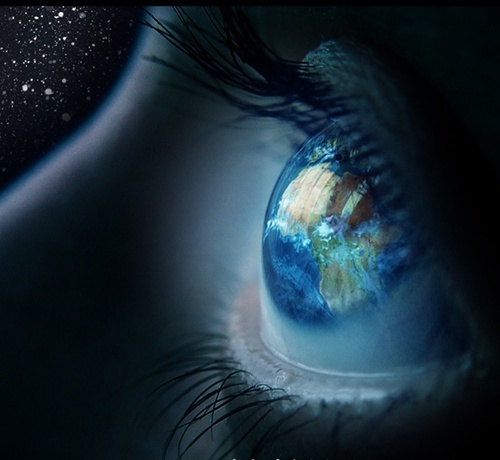 Inner vision is activated by universal power, and outer vision is activated by universal intelligence. Harmonising both strands of thought leads to a Singularity and the Intelligence that gave birth to the universe. As spiritual and mental energy harmonise, so too does masculine and feminine energy. Humans are here to experience first-hand what it feels like to be a child of the universe. Eventually, in several millions of years, the Sun will exhaust the supply of hydrogen at its core, and then the central nuclear furnace will move outwards to layers around the core, in search of new hydrogen fuel. The Sun will begin to expand and increase in brightness; it will become a red giant star. When the temperature and pressure at the centre of the Sun reaches a certain point, it sets off a nuclear chain reaction with helium entering into these reactions. Helium is transformed into carbon, releasing even more energy. Toward the end of the Sun’s life the red hot atmosphere of the Sun will dissolve, leaving the star’s small, dense core exposed as a glowing white dwarf. In larger stars, those ten times or so heavier than the Sun, nuclear reactions proceed at a speedy rate until the star explodes as a supernova. This is predicted to happen to the red giant star Betelgeuse in the star constellation of Orion. The nuclear holocaust of a supernova explosion forges nature’s heavier elements and scatters them into space, where they mix with existing clouds of hydrogen and helium gas. They are then ready to be collected up into new stars and planetary systems similar to the solar system. In the birth of a solar system, heavy elements and light elements fuse together to create planets and new life forms. The Sun, the star at the cente of our solar system, allows life to develop on earth. The form or matter of an intelligent species such as humans is made up of elements from star formations. Animating these complex life forms is an intelligence that is superior to anything else in the solar system, and this indefinable essence entangled in dense matter seems to be seeking a way out. It is seeking to evolve to a consciousness that can exist outside of dense matter, and somewhere deep within the core or heart of each being is the blueprint of a star. The light essence of humans is currently fused as thought matter in the outer mind and is known as the ego or self. This light essence is seeking a way to disentangle from heavier elements that keep it earth bound, and it is using role play in the human form to create an opening into true Reality. The human form is about to give birth to Reality on a grand scale. Effectively humanity is in the womb of consciousness, to use a spiritual term, and is about to give birth to universal consciousness. In scientific terms, the solar system is a nebula giving birth to higher forms of intelligence that allows Universal power & intelligence, which give birth to the universe, to become aware of its very creation. This entry was posted in Uncategorized and tagged consciousness, nebula, Science, soul, spirituality, stars on August 26, 2014 by colletteom.